Unhand Me! 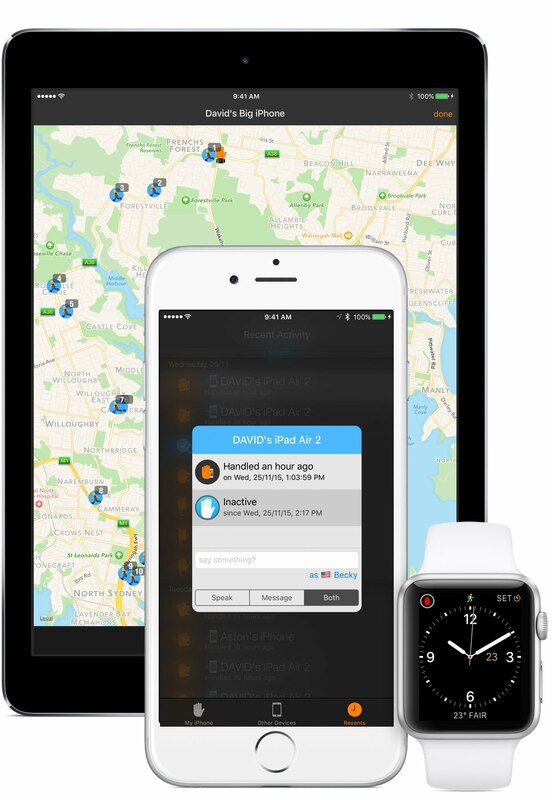 Get notified on your Apple Watch when someone handles your iPhone. If you own an Apple Watch then you'll know your iPhone is spending a lot more time in your bag or on a surface somewhere. This is not a bad thing. Unless your unattended bag or phone attracts some unwanted attention that is. Now there's a simple solution. Unhand Me! is a new app for Apple Watch and iPhone. 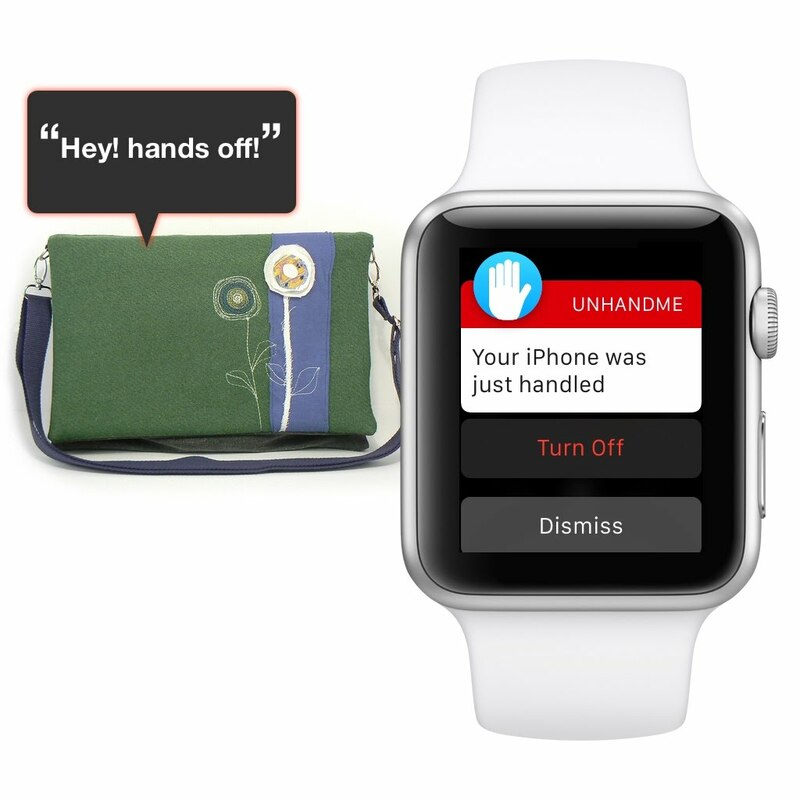 Activate it directly from your Apple Watch, and if anyone touches your iPhone (or your bag) then your iPhone will speak a warning and you'll be instantly notified on your watch. If you have an iPad you can add that too. In fact, you can pair your iPhone with all your iOS devices and even your friends' iOS devices. You can even go next level and automatically setup a perimeter based on the location where you activated Unhand Me! As soon as your iPhone leaves this perimeter it will become self aware and start messaging or even tweeting where it is and will speak asking to be returned from where it was taken. With most gyms moving to an open bag storage area, Unhand Me! gives you peace of mind while you are working out. There are all sorts of other useful scenarios, like leaving your bag on a cafe chair while you go to the counter, placing your iPad on your desk over papers that you don't want read, it’s like having another set of eyes. It's also a lot of fun too. You can make your device say whatever you want (in any of 37 voices) and even play sound effects. Unhand Me! starts working once your iPhone is locked. It uses the advanced motion chip to detect if your iPhone has been handled - which is very light on battery drain! If it detects something then it will speak a warning. You can customise both what it says and choose between loads of great voices such as Roger, Darlene & Becky. 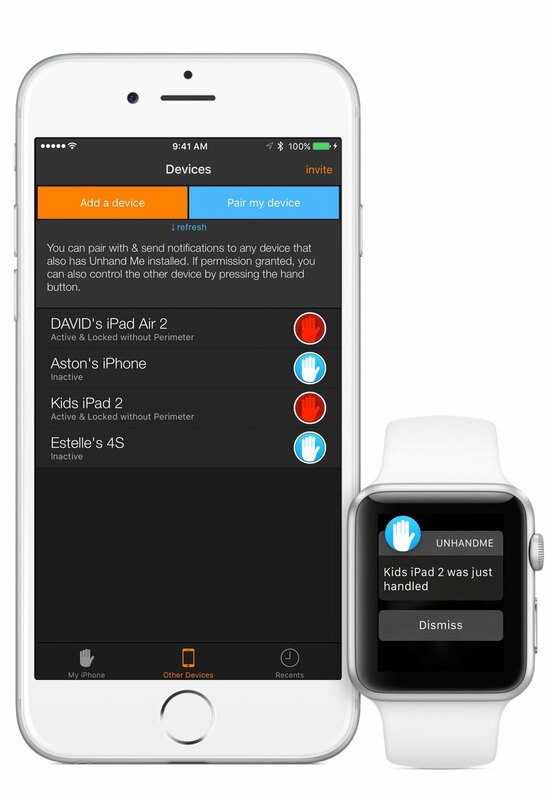 It also sends a notification to your Apple Watch (or other iOS devices). You even have the option of turning off Unhand Me! directly from the Watch notification for times that it has detected you. Unhand Me! is extremely simple to use. 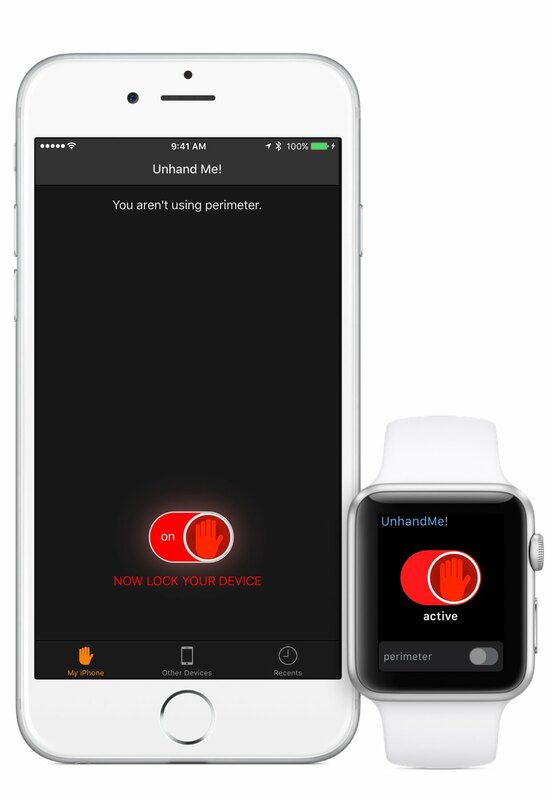 You can activate it either from your Apple Watch or from your iPhone. You can change what you want it to say and choose from loads of great voices. Unhand Me! 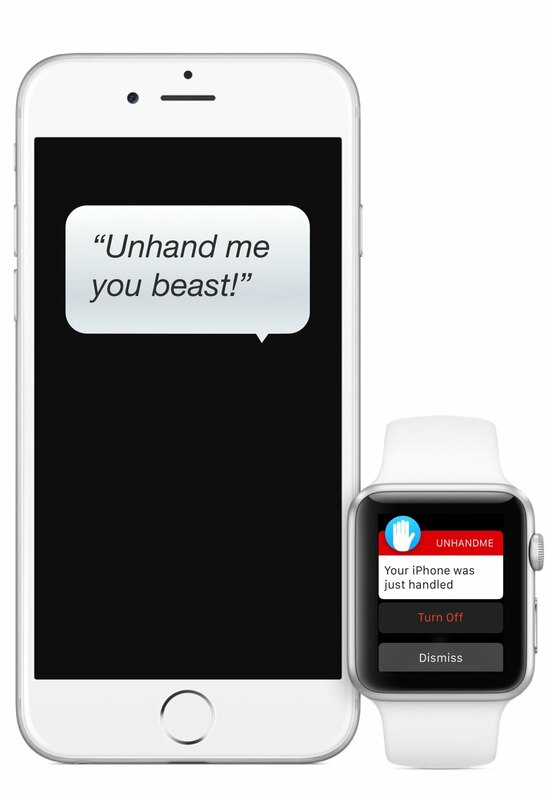 only starts speaking warnings and sending notifications to your watch once your iPhone has been locked. Locked means you should have a passcode/touchID active on your device. 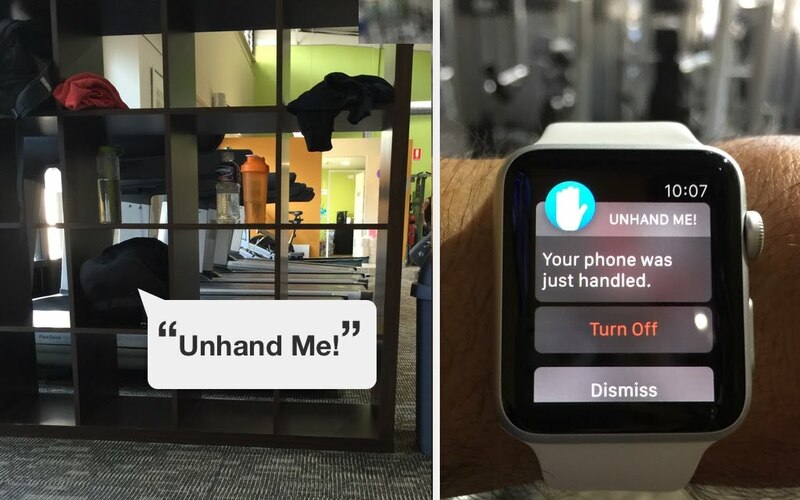 You can optionally tell Unhand Me! to set up a safety perimeter. It will look where it is when you activated it and automatically set this up based on your preferred radius. When your phone leaves this perimeter (and likely out of range of your watch), it will become self aware and start messaging paired devices you want to notify, and optionally tweeting where it is. 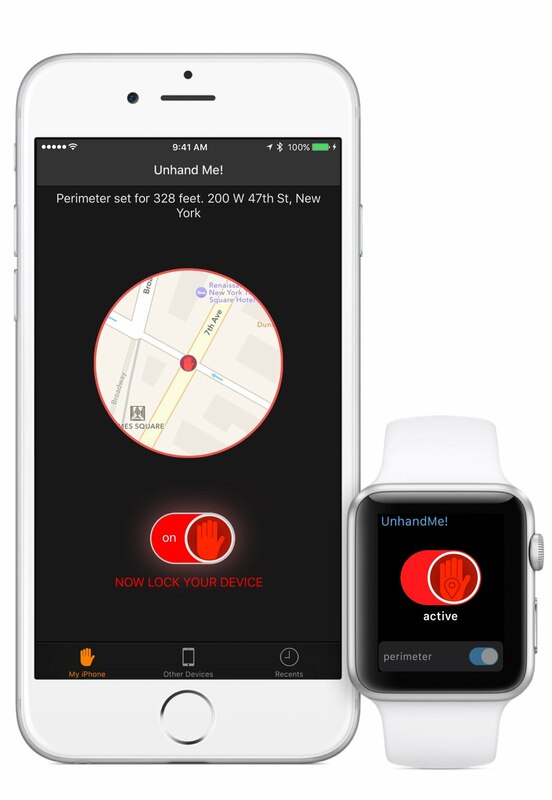 This isn't a replacement for Find My iPhone, it is a proactive warning system. As soon as you become aware, then Find My iPhone takes over. You can pair with your or your friends' iPhones, iPads and iPod Touch devices. This will let you get notified when they are handled, or notify them when you are. 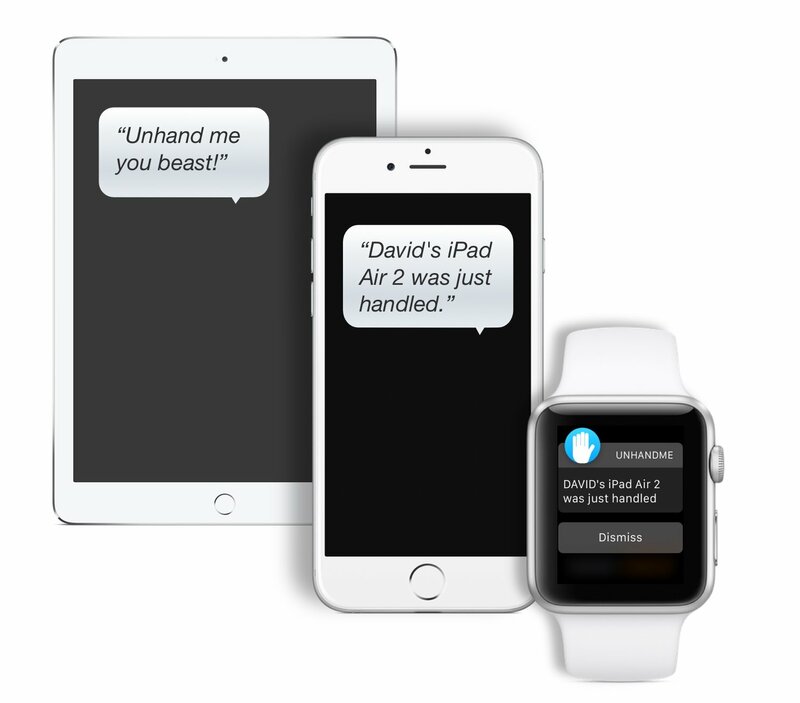 You can even control them remotely (permission required) & send spoken messages. There's much more! A handy complication & glance for your watch. Multi device support, history, tracking, messaging & tons of customisation to nerd out to.